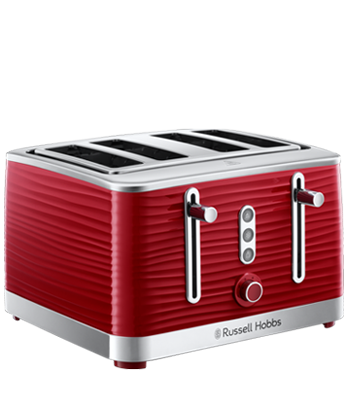 Make a stunning statement on your kitchen counter with the Inspire 4 Slice Red Toaster. 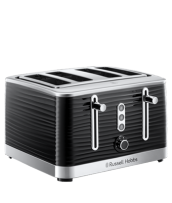 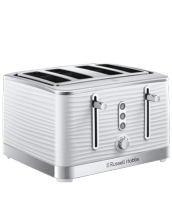 Combining a classic, clean white with a strong stainless steel – this toaster adds a touch of class to any kitchen. 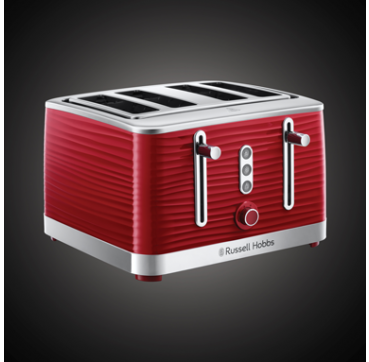 Be drawn in by its unique design of entrancing, textured ripples that endlessly wrap around every aspect. 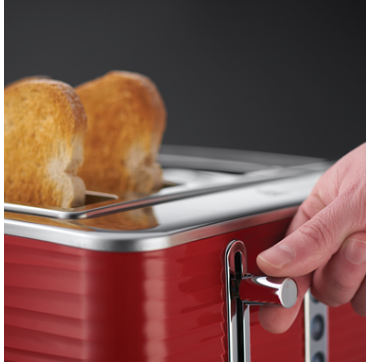 With 4 large slots, it’s the perfect size to bond over breakfast with those that matter most. 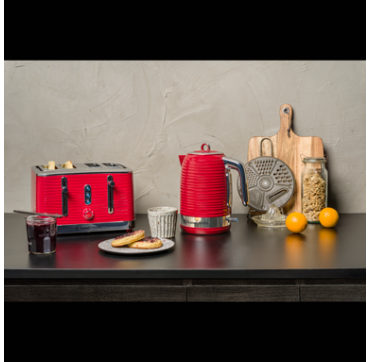 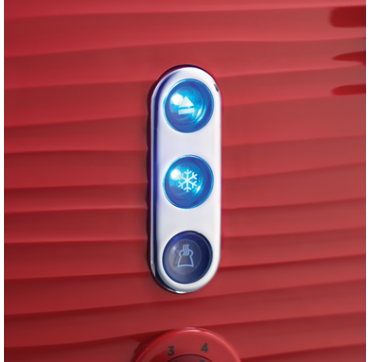 So switch off from the world, push down the lever and get back to truly enjoying life with a delicious breakfast and great company.